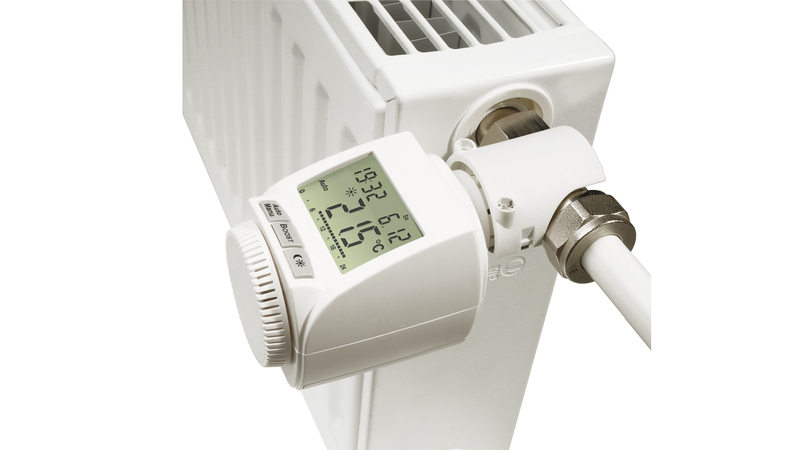 Thermostats convert a temperature into a valve position. They are used in heating systems and cooling circuits. For example, the cooling water thermostat provides the valve position as a function of the water temperature during the water cooling of motor vehicles. When driving, the water temperature is low. At this time, the water is not led to the radiator. There is no cooling via the open circuit motor-water pump motor circuit. The engine can reach its operating temperature unhindered. As soon as the operating temperature is reached or exceeded, the thermostat opens the cooler circuit to deliver the heat to the environment via the cooler and the fan. The motor of the fan, on the other hand, is controlled by a thermoswitch. Examples for use in living rooms are heating thermostats.